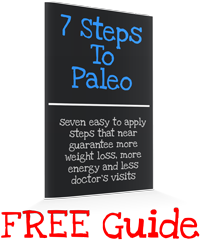 So you are interested in changing your diet and lifestyle to one that is more in line with Paleo philosophies, are you? 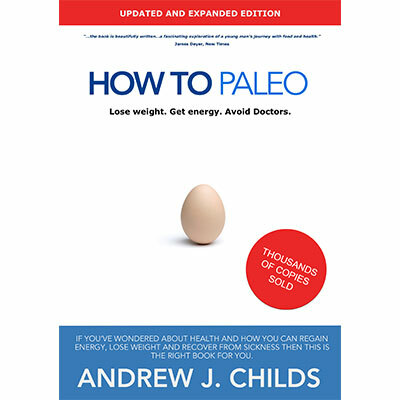 Before you begin, try and read through this list of the 100 tips for Paleo beginners in entirety, it is pretty comprehensive, but it includes pretty much everything you may encounter when changing your lifestyle to a Paleo focused one. If you’re new to Paleo then you know that grains aren’t friends with Paleo eating principles. Eating foods rich in nutrients is one of the most cover Paleo values, so grains to make the cut. Try to remove bread and other wheat products as soon as you can, and make sure the foods you eat are gluten and wheat free. Legumes contain lectins which have similar and comparable effects on the body as gluten does. Soy is one of the biggest offenders here, so if you’ve ever made legumes a big part of your diet then you should start cutting back drastically, or just go all out and remove them from your diet completely. Fat is the cornerstone of Paleo eating. Not directly by design perhaps, but it really does end up making up for a large amount of Paleo eater’s caloric intake. Make healthy fats a part of every meal by eating lots of grass fed steak, oily fish and coconut and olive products. Grass fed or pasture raised animals and animal products might be hard to find, but they are integral to getting your body in peak health and tip top condition, so stock up! Nuts are great go-to food for Paleo followers. They are nutritionally dense and have good fat profiles, but don’t go buying every nut you see en mass. Stick to almonds and macadamia nuts as they are nutritionally superior. Make sure you don’t eat too much of them (a loose handful per day is good) as over-consumption will result in your body not being able to absorb nutrients properly. Healthy diets are linked closely to healthy environments. Try to remove all the bad foods from your house and pantry so that you are never caught with nothing good to eat. Remove all non-Paleo foods from your diet and give them away, you won’t be needing them. Make sure that you stock up on healthy snacks and healthy ingredients so that you are always able to make nutritious meals whenever you need to. Take a trip to your local farmer’s markets and try to find out how you can order from the suppliers there directly. Getting good food supplier relationships helps a ton and will save you lots of money in the long run. There are always new markets popping up and it would be in your best interest to make sure that you keep up with the times and ensure that you know where the best suppliers are. Cut out the use of sugar and sweetener. The best is to go cold turkey so that you don’t get cravings in the future and so that you don’t have options at home when you are feeling peckish. Sugar will set you back big time, and it won’t help if you have a secret stash somewhere that you know is there “just in case”. Do yourself a favour and get rid of everything that contains sugar now and thank us later. Natural sources of sugar are fine, but remember that if you are always trying to replace the sugar you once had in your coffee with “other” options, you will never break free from the hold sugar has over you. Stop trying to plan for every meal and allow yourself to get into a routine. You will have to make sure that there are foods in your house that you can use to make delicious, nutritious meals with, but this doesn’t mean you have to worry about what you are going to have for lunch tomorrow. Try to plan as much as possible, but don’t get stuck. If you have to buy lunch opt for the salad. It’s important that you allow your body time to adjust to your new diet, and it can help in the beginning to get some basic supplements. Vitamin D, a pro-biotic and a good multi-vitamin will iron out any micro nutrient deficiencies you may have right now that will be addressed when you get your Paleo diet dialled in. Go right now and put your scale in your cupboard. You won’t be needing it for at least one month. It might be tempting to monitor how much weight you are losing, but really the act of weighing yourself should be part of a quarterly check to see where you are at. Something that is commonly said in Paleo circles is that you don’t need a scale with Paleo because scales are for diets. Remember, even though it might be called a diet, Paleo is a lifestyle. Weight loss is important sure, and it might be your sole goal in changing your diet to a Paleo one, but it is important to understand that weight loss is just the tip of the ice berg. Improvements from following a nutritionally dense, anti-inflammatory diet range from shedding pounds, clearing up skin, normalising hormones and healing metabolic functions. There are many benefits to be head besides weight loss is what we are getting at, so don’t make it the only reason you are making changes. If you can start to grow your own food. This doesn’t take a lot of effort, much less than what people might think actually and is a very rewarding process. From planting seeds to harvesting produce, you know that the vegetables you grow are yours and don’t have any pesticides or other chemicals on them. If you can, try to stick to heirloom seeds and don’t buy genetically modified options wherever possible. While exercise isn’t crucial for weight loss to occur, it certainly doesn’t hurt. Try to get a walk around the block in everyday, especially if you are overweight already. Small amounts of exercise, no matter how trivial they can seem can make all the difference. Exercise helps get insulin sensitivity up and will ensure that you see results faster. If you are someone who likes to be part of something then consider joining a running club. Parkruns is a great option and allows you to join fellow runners every Saturday morning for a quick 5km run. There are Parkrun events that happen across the globe so you might be surprised at just how easy they are to find in your city. Don’t worry, if the idea of running 5km’s is daunting you can walk it if you like. This isn’t a competitive event at all, and is just a way of getting out of the house and getting that heart pumping. Click here for more info on Parkruns to find out where the nearest one is in your city. Start trying to meditate every day. Even a 30 minute session of sitting quietly with your eyes closed and going through or planning your day will help you in more ways than you can possibly imagine. Meditation allows your mind time to work through your day’s problems and goals and will keep you focused. Dairy is one of the most over consumed foods on the planet, so watch out for making it too big of a part of your diet because of it’s easy access and high fat content. Dairy is incredibly insulinogenic and so doesn’t to wonders for promoting better insulin sensitivity. Dairy isn’t strictly Paleo so you shouldn’t make it a big part of your diet. Try to stick to high fat and fermented dairy as your only sources of dairy. Play should become a big part of your life. Stress relief, especially physical stress relief is very important for optimal health. The body loves to burn energy and replenish itself, it’s a natural process that should be part of everyone’s lifestyle even in very small doses. Blue light wreaks havoc with our internal clocks including how our brains prepare for sleep and stress. Cutting down on how many hours you spend in front of screens will benefit your body in more ways than you can imagine. If you are unable to step away from your computer screen during the day, at least try and limit the amount of screen time when you get home and stop using screens a few hours before bed time. Your sleep and body will thank you in spades. Make eggs a big part of your diet, especially for breakfast. Eggs are great for an all round food and contain some of the most comprehensive nutrition payloads available on Earth. Eggs are near delicacy material for the body, so if you can eat them, eat them! Real men (and women) eat lots of leafy greens. They are packed with essential nutrients in the form of vitamins and minerals. Eating salads should be a big priority for you as they are great ways of getting a whole bunch of mico-nutrients into your body in one go. One delicious go, I might add. As you are probably aware, finding restaurants that cater to your new eating methodology are far and few between. This can be beaten by finding a couple of high quality restaurants that serve clean meals that are Paleo okay. Generally, I’ve found that many non-chain, non-Italian restaurants have options for Paleo followers, and often the smaller the menu the more options there are for you to choose from. Weight lifting shouldn’t be reserved for body-builders and strongmen. Even lifting relatively light weights every week will help you grow stronger and accelerate your weight loss. Our ancestors would have needed impressive strength to drag heavy animals, lift themselves onto objects and protect themselves. Additionally, being able to run at high rates of speed would have been a valuable asset, and back then the only way of traversing distances would be to run. We are excellent runners and our genes still know this. It’s important to stay hydrated especially while your gut “learns” to digest your new dietary preferences. Make sure you get enough water everyday to keep constipation at bay. By rethinking these changes you are making as a lifestyle change rather than a dietary change, your resolve will be much stronger when you need to choose the healthy food options over the unhealthy ones. Aim for maintaining your changes for at least one month at first, and soon your new changes will be permanent. Paleo is all about the 80%, so if you slip up every now and then don’t let it bring the house down. Allow your body time to adjust, but don’t let one piece of cake ruin your entire health improvement plan. Just keep working on making sure your diet is 80% Paleo and you’ll be A-Okay. Make fat a big part of your foot finding efforts. If you have any say in the matter make fat up to 60% of your caloric intake. Try to think of fruit as a sensible indulgence which can only make you fatter. Fruit is basically just sugar in the form of fructose, so with the exception of berries keep the fruit for one day a week. Remember that health changes slowly so don’t try and force the body to lose more weight than it already is by thinking that eating extra fat or cutting extra carbohydrate intake will not get you magnified weight loss or other health improvements. Allow your body to get healthy on its own. Foods in boxes generally mean they are packed with some sort of bad ingredient or preservative. You shouldn’t want to put foods like this into your body so you need to remove them from your diet right now. Even those close to you might say things that hurt you and make you feel like you are making a stupid choice. Some challengers will come from a place of concern over you “eating so much fat, that gives you heart attacks” (It doesn’t), and others will raise concerns with you because of their own insecurities or issues. Wherever the negative feedback comes from you should ignore it and keep on with your changes because remember, the changes you make are for yourself. Stay motivated! Not only others, but educate yourself. Because of the point above it will not only serve you in knowing the reasons why, but it will also help in answering questions put to you by brainwashed and mislead grain eaters. Sometimes you will encounter people who maintain that their diet is superior. Paleo isn’t about that, and while following a Paleo diet may indeed be the best choice you could make for your health, telling people that they are wrong is no way of going about encouraging others to try Paleo. Vegans will probably be the most difficult to see common ground with, but remember that the choice of people’s dietary choices is entirely their own, you can only bring their attention to obvious mistakes they might be making. Be prepared to “battle” with your own internal dialogue. Some days you might really fight with yourself and ask the question “is the diet working?”. Relax, trust the system and stay true to where your understanding of diet is. If it is Paleo then stay the course, if not, experiment. Getting your diet right is as much a part of self exploration as it is trusting in proven eating methodologies. If you’re hungry, eat, but stop when you are full. Eating past satiety is unnecessary for optimum health, but make sure that you are eating enough. Concentrate on fat so that you feel fuller for longer all while getting enough nutrients. It is quite common for people to cut out too many food groups without introducing enough calories. Cutting lots of food groups will almost always drastically decrease caloric intake. When cutting carbs, increase fat intake to make sure you get enough calories. If you find that you lose weight and then stop losing weight increase your caloric intake. As mentioned previously, sometimes new Paleo followers simply don’t eat enough calories, tricking the body into thinking it is starving. Starving mean energy retention, retention means fat gain. Lose the inhibition and try to eat foods that you wouldn’t normally try. What about trying offal? Offal is basically organ meat and is some of the most nutritious food known to man. Livers, for example, are great sources of essential nutrients and are probably the best way for you to get into eating organ meats. Give it a bash, step on the wild side! Try to greet the day with some sun. Vitamin D is impreitive to optimal health, and what better way of sourcing some then with your own body. Ideally, 10 minutes of sun on your naked body would get you the most vitamin D in the least amount of time, but standing on your balcony naked might not be appropriate. Try to expose as much skin to the sun as possible for 15 minutes each day and get your vitamin D. If you are unable to access sunlight, get a vitamin D supplement. Try to get something like a 5000IU option if you don’t see any sunlight, and a 2500IU one if you do. Stop referring to your Paleo adventure as a diet (yes, I know I use the term diet often) and start thinking of it as a lifestyle change. Lifestyle changes that are Paleo focused will get you results quickly, and they will also allow you to make the changes permanent so that your health benefits are permanent. Sometimes it’s best to stock up on meats at sales. There are often sales when new suppliers enter markets, so frequent your local butcheries and offer to buy in bulk. This might take up a lot of freezer space, but it will cut costs significantly in the long run. Get a slow cooker and use it to make meals for the entire week. Because you won’t be eating anything pre-packaged, you will need to do some planning and slow cooked meats is a great, low stress way of cooking large amounts. It is often best to plan at least one meal ahead. Start making extra portions for dinner that can be eaten for breakfast, lunch or dinner again the following day. The body knows know difference between breakfast, lunch and dinner, so eat whatever you like when you like. Planning ahead also allows you to budget whole month’s in advance. Allow your body to rest. If you are constantly going to bed late and rising early you are in all seriousness shaving years off your life and over-stressing your body. Try to get into a sleep routine of 8 hours per night, and do your best to keep bed times consistent. Before you know it you wont need the alarm clock any longer and you will benefit from feeling rested and energised every single morning. Get some good olive oil. It will become a large part of your diet and will be integral for epic salads and drizzling over roast vegetables. To tell if an olive oil is good and of high quality it should have a peppery after taste in the back of your throat. Just put a drop on your finger and taste it. Stick to extra virgin olive oil. Stay far, far away from peanut butter. You might think it’s an okay source of nutrients, but in reality it’s not great at all as peanuts are legumes and peanut butter is full of sugar. However that doesn’t mean that nut butter is out of the question. Macadamia nut butter and almond nut butter are generally okay because they don’t have any additives. Stock up, because macadamia nut butter is great for baking with. Stick to wine and whiskey. Beer contains gluten so it shouldn’t be consumed more than one unit every now and then. Try to stick to red wine and whiskey but don’t drink more than one unit of alcohol per day. Remember, alcohol is a toxin and because we want to encourage an ecosystem of health it shouldn’t be a big part of your diet. Stick to black coffee if you can and really focus on drinking it without sweeteners of any kind. In time you will find that the black taste of coffee is a good one. You can have milk on occasion, but think of cappuccinos as a sensible indulgence. Pretty much all tea is okay to drink, and once again try to remove dairy and sweetener from your tea drinking. Black is best when it comes to coffee and tea. Ah, dairy. Dairy isn’t strictly Paleo because adult animals (that means us) don’t consume dairy after they are weaned off of it. Dairy is also very insulinogenic, and doesn’t work that well for weight loss efforts. If you are going to consume dairy, stick to full fat options only and preferably only eat fermented dairy like yoghurt and cheese. Rice is a bit of a grey area really, and while it’s a relatively poor form of nutrition, it can be eaten as it is gluten free. The only time you should really be eating starchy vegetables on your Paleo adventure is when you need an insulin spike. Increasing your insulin post weight training works well for packing on muscle mass, so use high carbohydrate vegetables on an application basis. Nope. Cut them out of your diet unless you are already at your ideal body weight and they are eaten in moderation. High glycaemic vegetables aren’t great for much more than increasing body fat percentages or pumping up insulin after workouts. Corn isn’t Paleo because it’s a grain and is very difficult to digest properly. It’s also relatively nutritionally poor, so don’t make it part of your diet. Yup, you read that right. Eating salads for breakfast is a great idea. Salad greens are nutritionally dense and the morning is one of the best times to eat protein. Make a protein packed leafy green salad for breakfast and give your body what it needs. Allow your body time to rest and relax, particularly after exercise. Rest is as important as exercise, so allow your body time to regenerate, heal and get stronger. Almost all options of tomato sauce are not Paleo okay, but it is OKAY to either make your own Paleo tomato sauce, or you can eat tomato purée. Remember that first period of adaptation to a Paleo lifestyle is part detox. Allow your body time to detox and heal. Allow your body the time it needs to adjust to the diet. Nothing changes immediately and your body makes changes gradually, allow this to happen. Try to make a snack that is easy to eat, delicious and easy to prepare. Biltong/jerky and fatty nuts like macadamia nuts are great ideas. Yup, the regular old Tobasco sauce is actually OKAY for your Paleo adventure. Do some label reading, but the normal Tobasco that’s in my fridge is good to eat. 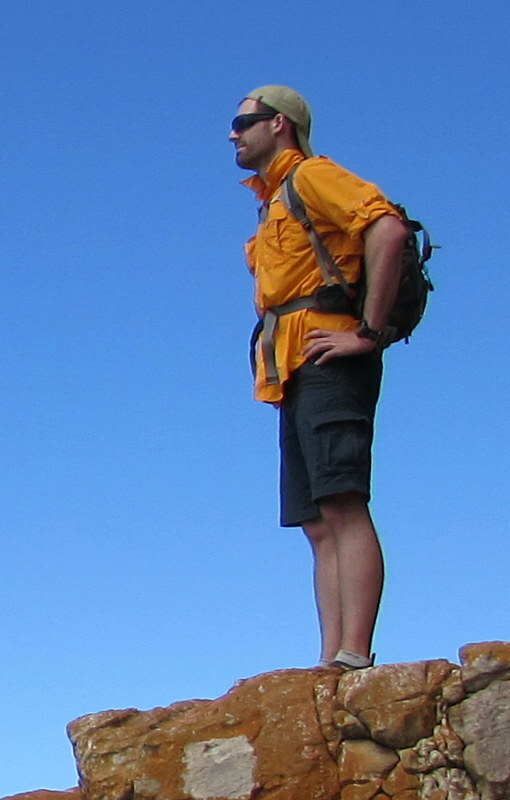 Think of getting fit and strong as part of your adventure, just as much as eating healthy foods is. Fit bodies are healthy bodies. Don’t stress out if you can’t find organic options all the time. Organic certification is still a bit shady, and many food suppliers don’t follow them honestly. Stick to farm stalls and you should be good most of the time. Eat foods that are bought often and not stored for long periods of time. Fresh vegetables and meat are going to make up a large amount of your diet, so you need to shop for them often. Eating simple meals is a big part of Paleo. This is OKAY, but can still catch people off guard. Some people think that eating simple meals isn’t “good enough” but this is not the case. Simple meals are often the most delicious, embrace them. Don’t allow the cost of healthy foods to throw you off at first. Nutrient dense foods are more expensive, but remember that in time you will actually be eating less volume. Invest in some good quality spices and you’ll be set for a good while. Buy high quality cooking tools, because seeing as though are going to be spending more time in the kitchen you will need them. Invest in some high quality skillets because they will be used the most. Allow yourself to eat cheat foods once per week. Try to wean yourself off these foods as you go, but cheat foods will gradually be removed from your diet automatically as you lose interest in them. Eating is fun and social and cooking can be the same. If you have a big kitchen with seating space for family and friends try to make time spent in the kitchen social, just like sharing meals is. Cooking is simple, it really is, just put in some time and energy and you’ll be popping out delicious meals in no time. Personally I love learning how to cook delicious meals because I love providing for others and it’s a great therapy. Don’t think of cooking as a massive mission or as a difficult task because some of the most delicious meals I prepare are the easiest to prepare, cook and serve. Do whatever you can to motivate yourself and keep yourself motivated to keep up the changes. It’s important to be accountable to yourself and set out standards to stick to. Keeping motivated will get you results! If you are up for it (and you should be), do challenges every few months. A good example of a 30 day challenge is to cut out sugar completely for a month, another one is to exercise everyday for 30 days. You get the picture! Initially foods which are typically regarded as “bland” will really start to taste great once you cut out sugar. Cheap, easy carbohydrates are designed to taste good and skew how your taste buds taste them. Soon, you will marvel at the abundant flavour in foods commonly thought of as bland. Find some good quality blogs and authors and follow them, be smart and read all you can so that you can educate yourself, your friends and your family. Taking photos for before and after comparisons is a good idea. Knowing where you’ve come from will allow you to stay accountable and keep you motivated to keep going. Packaged foods are generally far from Paleo, but not all the time. Learn how to read nutritional information to stay on top of what you are putting in your body. You might be shocked at just much garbage is in even the seemingly simplest of foods. There is no time like the present so you should really focus on making the changes now. You are never too young, too old or too whatever to make healthy changes to your life. Start now, or as I always recommend start from your next meal. Everybody takes to Paleo and lifestyle changes differently so don’t put too much pressure on yourself or your family members. Allow the body time to adjust and don’t put too much pressure on yourself. Organ meats are cheap and have some of the highest amount of nutrients in them pound for pound. Make them part of your preferred meat selection and your body will love you, and your wallet will too! There are many edible parts of foods we routinely dispose of. For example, the next time you peel a sweet potato keep the peelings and fry them up for a crispy treat. If you grow your own vegetables like cauliflower and cabbage, use the leaves on the plant to make Paleo okay pasta or use them as lasagne leaves. Delicious! Gordon Ramsay and many other celebrity chefs have cooking shows available to view on youtube. Watch them and learn key skills for cutting, chopping and preparing ingredients, and learn how to reverse engineer some recipes. This is easier than you think! Learn which cuts come from which part of each animal. Soon you will discover that some of the better cuts of meat aren’t actually the best cuts of meat. Pork belly, for example is generally considered a cheap cut, but that’s great for us. Pork belly is used to make bacon, and slow roasting a good belly is probably my favourite food. Try it out, you might find it as delicious as I do. Learning how to make sauces, stocks and marinades yourself is a good way to quickly upgrade your cooking skills. Once you’ve made your own home made chicken stock though there is no going back. Learning how to maximise bang for buck is key to getting the most for your money. Don’t throw away food because you think there is nothing left to eat. Paleo isn’t strictly a low-carbohydrate diet but more of a high nutrient diet. Some cheap starches are okay if you are at your ideal body weight. Sweet potatoes and other root vegetables are okay to be eaten if you aren’t trying to lose weight and are cheap. Following seasonal vegetables is a good way to talk to your DNA in a good way. Our genetics know which foods we should be eating according to the seasons and following these natural trends will get you secret health benefits. Fruit fits into this category. When our ancestors found fruit we would have eaten as much of it as we could have found. Occasional berry gorge feasts is okay and is actually good for you. If you are going to eat fruit stick to berries. Berries have less fructose and higher nutrients than other fruits such as apples and bananas. When in doubt, stick to berries! Just because you cut down carbohydrates doesn’t mean there isn’t a place for them. If you exercise you should match your carb intake to your exercise load. Athletes can safely get away with more carbohydrate intake than people trying to lose weight, so keep this in mind when putting meals together. Working out can be a simple, time efficient activity and still get you great results. Try to do less reps with higher weights until muscle failure and see how your body reacts. Similarly, one good sprint training session per week should get you great results in terms of fitness and strength. Just as you can train smart for strength you can train smart for endurance. The train low, race high philosophy is a great way to prepare for races. Train on a low carbohydrate diet and race on a high carb meal. Train with a low carb intake for weeks before your race day, and increase your carb intake by 200% a few days before the gun goes off. On the morning of the race eat a balanced meal that won’t sit in your stomach. Standing is good for you and is certainly much better for you than sitting all day. Sitting is becoming more and more of a problem and is leading to more and more issues. Posture, fatigue and even cardiac problems are all related to sitting too much. Try to get enough standing time everyday, it’s worth it! Get as many people on board as possible to get the best results across the board. Try to encourage all members to change their diets so that they can change and improve with you. The more the merrier, and having a great support mechanism is worth every effort to get it. Also, having the whole family eating the same foods cuts costs and simplifies shopping. Build your lifestyle around getting healthier. It is sometimes not enough to just change your diet, and while food is a big part of health, cutting out bad habits like drinking too much, staying awake too late and smoking can and should be improved. Health is a holistic practice and the more effort you put in to living a healthy lifestyle the better the results. Cooking the perfect steak starts and ends with temperature. Allow time for steaks to get to room temperature before cooking them. As for spice, some good quality salt and black pepper is all you really need. Cook for 3 minutes per side on a hot grill or barbeque and remember that good chefs only turn meat once! I’d go out of my way to find a grass fed rib-eye any day of the week. Remember that high quality ingredients make the meal, not some fancy method or sauce. Seafood can be some of the most nutritious foods on Earth. Try and make fish a big part of your diet and remember that most seafood has a great cost per nutrient ratio. Try to stick to the 80/20 rule in your diet. Make 80% of your meals Paleo and you will see just about as much of the benefits as if you were going at it 100%. The remaining 20% is about allowing yourself some freedoms. Occasional dairy like yoghurt, cheese and whole milk can make it up, as can fruits and high carbohydrate vegetables. Be sensible. Once you start with a bang keep it up. The good inertia you start with will mean success or failure at the end of the day, so stay motivated and keep positive. if you can, make changes daily until your diet is mostly Paleo. Make sure that everyday you get enough calories. If you find that in the evening you are hankering for some carbs and you don’t know why, you probably aren’t getting enough daily calories. If you are experiencing odd weight loss plateaus or your energy levels just aren’t improving then try to focus on increasing your fat intake. Fat is the cornerstone of health and should make up a large amount of your caloric intake. Personally I noticed the most radical improvements in my body after I made a concerted effort to increase fat intake. Try to take all of these tips and put them to good use so that you encourage a happy, nurturing environment for your body. Try your best to enjoy all your meals, create a healthy home ecosystem and be kind and listen to your body. Trust what your body tells you but trust the Paleo system at the same time. Keep up your changes and you will see results, even if sometimes you have to make small adjustments here and there. 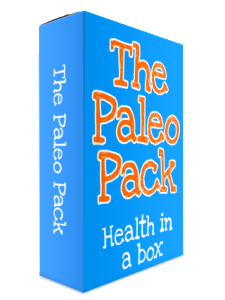 Please share this page to help others make success of their Paleo adventure! 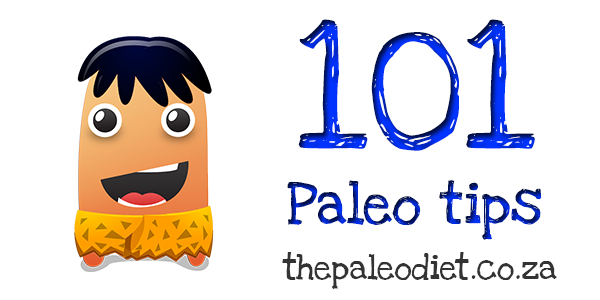 There you have it, 101 Paleo tips for beginners. Try to apply as many of these tips to your life as possible and I’m sure you’ll see some great benefits. Remember that Paleo is all about lifestyle commitments and thinking long term will get you the best results. Think big, plan ahead and allow your body time to adjust. Some changes might take longer than others, but if you trust in the system and stay on track (and don’t cheat too often) then there is no reason you shouldn’t see great results with Paleo and the Paleo diet!